I came across your website and was wondering if you could help me out with a question. Sorry, I wasn't sure what email to use so sent it to both the general and your own email. 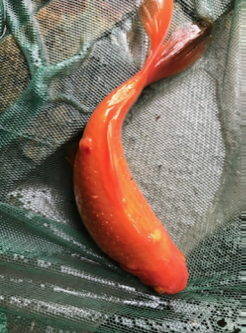 I noticed some of my pond goldfish have developed some bumps on their body. quarantined them and they all disappeared coming into summer. I didn't notice that there were lumps last year, more so ulcers into the middle of winter but I think I've caught onto it early this time. The weather's getting colder again and we're going back into winter and these bumps have developed even though the water parameters have stayed fine/stable (currently at 0ppm Ammonia/Nitrites and Nitrates about 40-50ppm. I've read there's nothing you can do to treat them except just wait it out, keep the water clean and support the fishes with a good diet. I'm thinking of getting a heater to bring the temperature up into the summer temps to help boost their immune system and replicate the environment that they went away in last year? What do you guys think? Do you agree that it's pox? 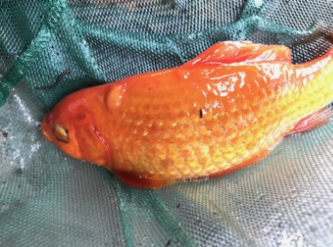 They're still eating and behaving like normal but I noticed that it's the exact same fishes that had the ulcers last year in winter so it probably is viral/pox flaring up? I'll do some reading. The images should be attached now.